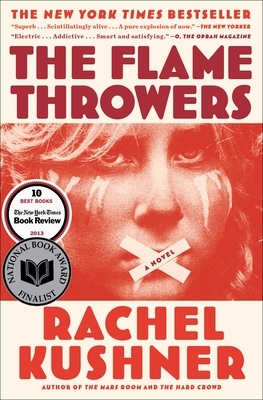 In Rachel Kushner's second novel, The Flamethrowers, a young filmmaker moves from Reno to New York in 1977. There, she meets and moves in with Sandro Valera, a Minimalist artist and the black sheep son of a wealthy Italian motorcycle and tire manufacturer. "Reno" (as she's nicknamed) narrates her period of self-discovery in a vividly rendered NYC during perhaps its worst period of decrepitude, but also a very free era for artistic expression. Kushner's philiosophical, political, and psychological insights push this novel forward. Though the plot itself tends to meander a bit, Kushner nails everything else: characters, setting, overarching themes, and wonderful language.